Your commercial roof is made up of many different components, all of which need to function together in order to protect your building. If you are currently dealing with roof issues due to the massive cold we have experienced, now is the time to schedule a checkup this spring, before you have to get out the five gallon buckets. S&S Roofing has been serving the roofing needs of New Jersey and the surrounding areas for over 30 years, both commercial and residential. No matter what you need, be it a massive commercial roof replacement or a small residential reroofing, we have the skills and manpower to make it happen. When a flat roof is stripped completely, the underlying wood is known as decking. Decking is held up with joints that span the length of the building this is the platform that all will rest on when the roof is complete. The decking must be in good shape for the entire roof to function properly. Many times the decking is ignored or, to save cost, reused, even when it is in substandard condition. Utilizing waterproof decking that has been treated is quite expensive but it can help with potential lease down the road. Decking is generally the same on a roof that is pitched like your normal residential roof. If you have ever seen a roofing operation in process you know what the water barrier looks like. It is the black felt, rolled over the roof under the shingles. There may be different water barriers depending on the style of roof, flat roofs and pitched roofs each use different water barriers. This is a way to seal and protect your roof from both sides. After the water barrier, it is time to place the shingles or EPDM on a flat roof. These materials will provide additional waterproofing of your roof. 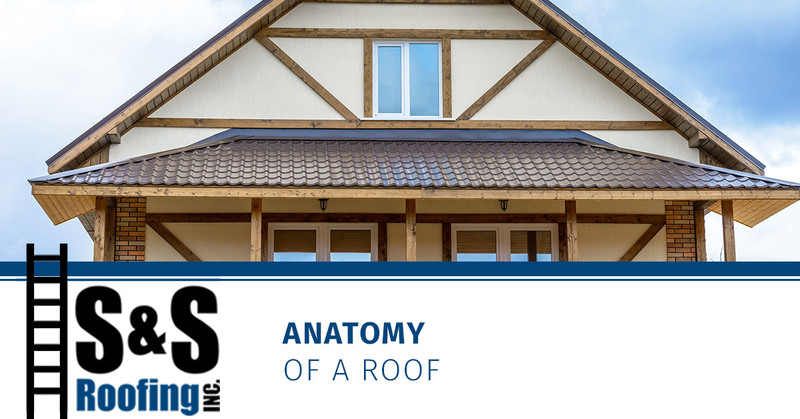 Proper installation of your top layer is critical to the longevity of your roof. Materials also matter at this stage more than ever, substandard shingles or sealing layer can be just as bad as having nothing covering the roof at all. 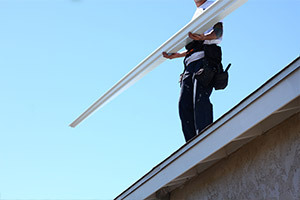 One of the most misunderstood parts of your roof is the flashing. While you may recognize the name, flashing is extremely critical to the way your roof functions. Think of flashing as armor for your roof. Flashing is thin metal that, along with sealant, is mounted over the top of the seams in the decking or around vents. Flashing forms a waterproof barrier that is extremely important to the integrity of the roof. Damaged flashing is one of the most catastrophic failures your roof can have. Venting is critical not only for your building but your roof as well. Insulation is generally right on the underside of the roof. This can make for some condensation which can damage the roof itself. Vents let the building breathe which is extremely important to the longevity of the roof. Regardless of what type of roof you have, commercial or residential it is critical to perform regular maintenance and repair in order to keep it in good shape. The commercial and residential roofing experts at S&S Roofing are always here to help with all of your roofing needs. Spring is coming quick and once the snow is gone and the sun comes out, our schedule is going to fill up fast. Take a few minutes and give us a call to schedule your roofing inspection, roof repair, or a reseal today. No matter what kind of roof you have we have the experience to make it great, meaning you can worry less and rest easy thought the summer.